Commercial Truck Quotes LLC values its relationship with you. Protecting the privacy of your information is our priority. 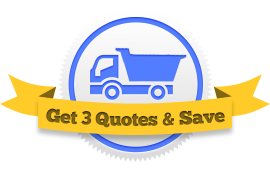 In order to provide you with the multiple quotes you seek, we share the information you provide on our Site through our online form with our network of Service Providers. We never share or sell your submitted personal information with anyone else. We have safeguards in place to protect your information including SSL processing of the form you submit to us. We take our responsibility to protect your information seriously. We may collect personal identification information from Users in a variety of ways, including, but not limited to, when Users visit our site, fill out a form, and in connection with other activities, services, features or resources we make available on our Site. When submitting a request for insurance quotes, Users may be asked for, as appropriate, name, email address, phone number, and information about the truck, driver, and business details of the venture for which insurance quotes are being requested. Users may, however, visit our Site anonymously. We will collect personal identification information from Users only if they voluntarily submit such information to us. Users can always refuse to supply personally identification information, except that it may prevent them from engaging in certain Site related activities. We help consumers shop for insurance by connecting consumers with our network of Service Providers (Including, but not limited to: Insurance Agents, Insurance Brokers, Insurance Companies, and/or the employees or contractors of the aforementioned people and entities. Information submitted for the purpose of requesting insurance quotes will be shared with our network of Service Providers for the purpose of providing Users with the quotes they seek. By filling out and submitting our quote request form you acknowledge and agree that up to (3) Service Providers may contact you by telephone or email using the information you provided, or to request additional information necessary to provide you with your quotes. You also agree that the Service Providers can confirm the information you submit through the use of a consumer report or other means which may include your credit score and driving record. We may use the email address provided to send Users information and updates pertaining to their quote request. We do not sell, trade, or rent Users personal identification information to anyone besides our Service Providers. We may share generic aggregated demographic information not linked to any personal identification information regarding visitors and users with our business partners, trusted affiliates and advertisers for the purposes outlined above.